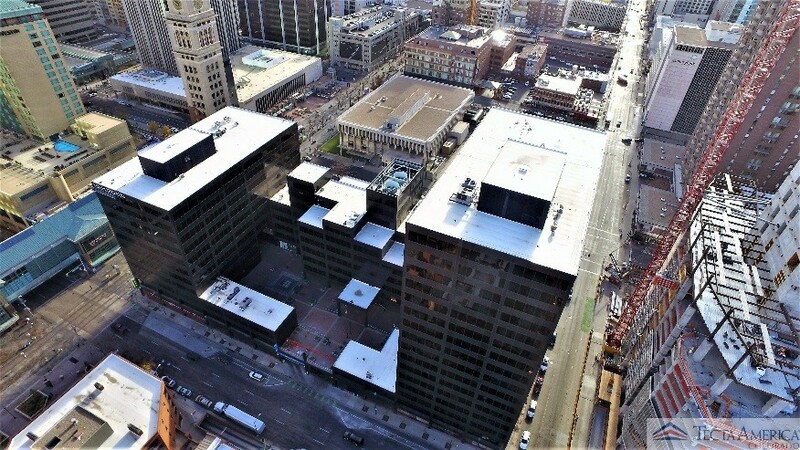 Roofing replacements on a downtown Denver multi-storied office building, due to hail fractures and re-occurring leaks, installation of a temporary roof for the owner was coordinated to mitigate leaks through the holiday and city-imposed work restrictions. A rental crane and street closures were required on weekends to load new roofing and download trash. All hoisting permits were coordinated with our Project Team, the crane company and the city around holidays and Rockies home games. Removal of existing roofing system down to the concrete decks. 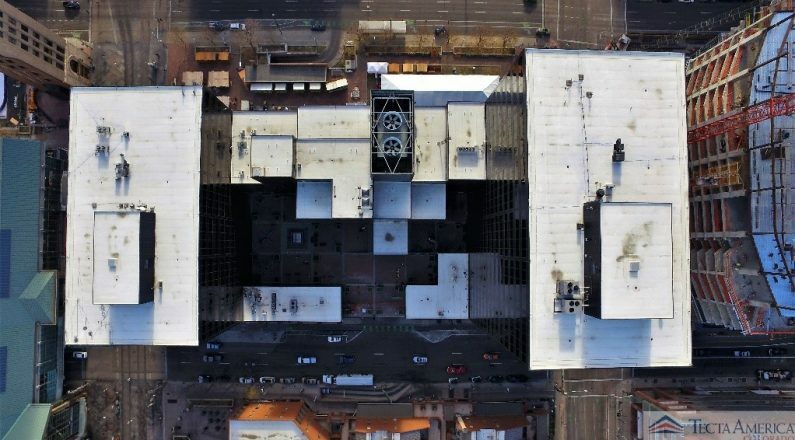 Install new roofing insulation and a fully adhered EPDM roof on each building.